Boston, Toronto: Little, Brown and Company, 1969. 245 pp. 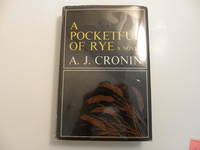 A continuation of the life of physician, Dr. Laurence Carroll first introduced in A. J. Cronin's, A Song of Sixpence. ".the events which occur and the people that Dr. Carroll meets along the way serve to lead him back to himself, to the revelation of a truth, and to a surprising resolution - through roads never before imagined." DJ has a tear to top front at spine and a bit of edgewear and min. scuffing. Looks good in new mylar cover. Not price clipped. Gold tan on boards cover has very little wear. No former owner's name on endpapers - clean. Text is clean, secure, no corner folds. DJ cond: fair-good. Book cond: v. good.. First Edition. HC and DJ. 8 3/4 x 5 7/8. Scribners This book is still in its plastic wrap. Has never been opened. Photo of author on rear cover by Jerry Bauer. Red dustjacket with pink and light red Innocent blood letters on black Authors name at lower bottom corner in white.. HC and DJ. Fine/Fine. N.Y.: Harper Collins, 1996, 1996. HC and DJ. Stated First Edition. 6 3/8 x 9 1/2. ISBN:0-06-017607-5. 460 pp. 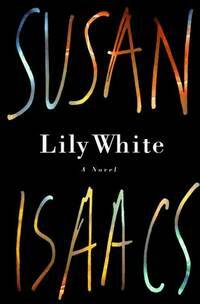 Lily White is Susan Isaacs' seventh novel. In it we are introduced to Lee White, a criminal defense lawyer practicing on Lon g Island. Min shelf wear in the form of rubbing on dj. Otherwise in mint cond. DJ is black with title in white and author's name appearing in rainbow hues. Deep flaps. New mylar cover. Endpapers aqua : mint cond. Binding is black cloth spine and aqua blue paper on boards. Near new cond. Text, perfect. Entire book, bright, tight, clean. A lvoely edition of Isaacs' fine novel. Dj: v. good. Text and B inding: fine..
N.Y.: Triangle Books, 1942. 347 pp. An adventurer from the north crosses paths with a woman who convinces him to play an unusual role. Blue cloth on boards cover has bumps to corners and some rubbing to corners and top and bottom of spine. Some faint staining to cover. Gift inscription on front free endpapers dated 1943. Pages of text have yellowed slightly but are very clean and text is tight and unmarked. Overall cond: good.. Reprint. Hard Cover. 7 1/2 x 5 1/4. London: Tom Stacey, 1971. 370 pp. A novel of a family's evolution through war and peace times. Pink dj has min rubbing to edges and colour change to spine. Not price clipped. New mylar cover. 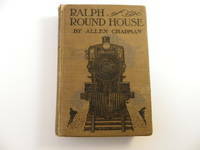 Black binding with silver lettering is in very good condition. Endpapers are very clean, no former owner's name. Text is clean, secure and unmarked. Dj cond: good-v. good. Book cond: v. good.. Hardcover. Used - Very Good/V. Good. 8 3/4 x 5 3/4. N.Y.: Dodd, Mead & Company, 1969. 253 pp. Summer romance in an English seaside resort. DJ has one small tear to top front edge and some general scuffing to front and a wee bit of wear to top and bottom of spine. Looks great in new mylar cover. Not price clipped. Yellow cloth on boards cover is in very good condition. No former owner's name. Text is clean, secure, unmarked. No corner folds. DJ condition: good. Book cond: v. good.. HC and DJ. 8 1/4 x 5 3/4. Mahwah, NJ, U.S.A.: Watermill, 1983. 310 pp. The 1983 Watermill classic edition. The story of Bob, champion sheep dog, and the challenge for the famous Shepherds' Trophy. Red cover has faint crease to back bottom corner, very min visible wear, bright and clean. No former owner's name. Text is very clean, tight and unmarked.. Mass Market Paperback. Very Good +. 7 x 4 1/4. N.Y.: Simon and Schuster, 1930. The Inner Sanctum Novels were still considered experimental in 1930: A sturdy book with a firmer binding than most paper backs and sold for one dollar. This one has a blue cover. The publishers state that blue covers are books ".in a more or less serious vein." Pages 1 & 2 of this book give delightful details regarding the publisher's intent with The Inner Sanctum Novels. "The Earth Told Me" (the author's fourth novel) is set in Alaska. 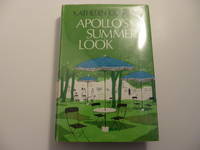 Our copy has light fading to spine, wear to extremities, a bit of dust smudge to front and rear. Blue endpapers with former owner's name and date (1930) and a 1930s era bookplate. Book has full-page biography of Williamson. Text is bright and clean, tight. A good copy of this exceptionally interesting book. Binding: Good Text: v. good.. Stated first edition. Soft Cover. 7 1/4 x 4 3/4. London and Basingstoke: Macmillan London Limited, 1973, 1973. HC and DJ. First Edition. 8 x 5 1/8. ISBN:333-14420-1. 192 pp. New mylar cover. An excellent murder mystery by the British writer Sara Woods who has an impressive list of books to her credit: Bloody I nstructions; Enter Certain Murders; They Love Not Poison; and others. Yet She Must Die is set in the charming village of Chedcombe, where the body of a woman is found. First rate detective work, and t he action of the trial is presented in fascinating detail. Sara Woods is at the top of her form in this book. Dj is in excellent cond. Very min wear to top corners, otherwise near perfect cond. Bind in g is maroon cloth - new cond. Endpapers are white, pristine. Text: mint. 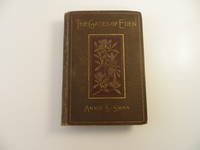 Dj: v. good - fine: Binding and Textt: fine..
N.Y.: Grosset & Dunlap, 1906 Hard Cover. Presumed First. 7 1/2 x 5 1/8. 278 pp. Subtitled: Bound to Become a Railroad Man. One of Three in the Railroad Series. Tan cloth on boards cover has some edgewear and bumps to corners. Wea r at top of spine. No former owner's name. Hinging has started inside front cover.Frontispiece has started to tear at bottom and has a chip from its front edge.Title page also has torn at bottom edge. Text is intact - a few corner folds but is basically clean. Overall cond: fair..
Garden City, N.Y.: Image, 1960. 238 pp. A dramatic novel of the life of Mother Seton, Foundress of the Sisters of Charity. Complete and unabridged. Softcover has a wee bit of edgewear, faint creases to back corners, browning of spine, no tears. No former owner's name. Text is very clean and tight. A nice copy.. First Image Printing. Mass Market Paperback. Good. 7 x 4 1/4. N.Y.: Crown Publishers, 1965 Hard Cover. Presumed First. 8 1/2 x 5 3/4. 282 pp. Wesley Barrow makes a name for himself in New York but reluctantly finds himself back in his sleepy home town of Gabriel Springs. "The fireworks are fast, funny, and frantic, and, before they're over, Wes realizes that those almost happy years may have been the best years of all." Dj has several small tears to top, min. rubbing to edges and corner s. New mylar cover. Not price clipped. Endpapers are very clean, no former owner's name. Teal cloth on boards binding is in excellent cond. Text is clean and unmarked. Overall cond: DJ: good, Binding and text: v. good - near fine..
N.Y.: The Century Co., 1915. 270 pp. Subtitled: A Romance of Youth and Hope and Love in Old Japan Author also known as Fannie Caldwell Macaulay. Tan hardcover has illustration of Japanese screen with tree outside. A bit of rubbing to corners and top and bottom of spine. Some staining to back cover. No former owner's name. Evidence of hinging at half title page but text is secure. Some dust soiling to pages' edges. Text is clean and unmarked - no corner folds. Overall cond: fair-good.. Hard Cover. Illus. by Arthur R. Becher. 7 3/4 x 5 3/8. Sydney: Dymock's Book Arcade Ltd,, 1955. HC and DJ. 8 1/2 x 5 3/4. 427 pp. Subtitled: A story of Life and Adventure in the Bush and in the Goldfields of Australia. This book was written in 1880 by Thomas Alexandre Browne as a week by week se rial in the Sydney Mail. An enormously popular book, it was dramatised in the early 1900s and presented on Australian, English, and American stages. 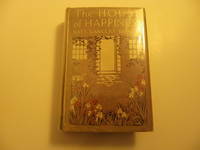 This is the 1955 edition with foreward by W.A. Morr is. Lovely dj depicting man with hun, hoolster, riding horse (horse seems to be leaping off the cover) Front dj has min wear ( a few small tears and chips) to edges. A bit of light moisture stain to d j spine. Light dust smudge to rear. New mylar cover. Dk green cloth on board binding has a bump to top corner and a little edge rubbing. No former owner's name. Text is clean and unmarked.. HC and DJ. Good/Good. London, United Kingdom: Vintage Books, 1991. 177 pp. Maclean's says of this book: "Charged with poignancy and pain, it is Richard Ford at his finest." Called ".the most accomplished American writer of his generation." Book is in near new condition. No noticed flaws.. Soft Cover. Near Fine. 8 x 5. Edinbourgh: Oliphant, Anderson & Ferrier Hardcover. New Edition. 7 3/4 x 5 1/2. 317 pp. + listing of books by Annie S. Swan. Painting of author on Frontispiece with tissue covering. Lovely line drawings in rectangle at the top of every chapt er page. Brown cloth on boards cover with copper/gold lettering and flowers enclosed vertical rectangle - quite lovely. Cover has bumps and rubs to corners and top and bottom of spine. Quite clean. F ormer owner's names on inside cover and on half title page. Inside cover has hinging where the endpapers have peeled back at spine and the buckram is showing. Text has some finger smudges, evidence of hinging at page 113, but is intact and very readable. Overall cond: poor-fair.. "A" Edition. Hardcover. Fair. London: Michael Joseph, 1951. 104 pp. Translated From the German by Constantine Fitzgibbon. A Lutheran padre's visit to attend a deserter's executuion, survival among the jungle ethics of war of the fundamental virtues of goodness, courage and Christian charily. DJ has a chip from bottom edge front and back top edge near spine.and a few small tears and wear to edges, an ink stain to back of cover. Looks good in new mylar cover. Not price clipped. Tan and red cloth on boards binding is quite nice a bit of discoloration to bottom front corner but not a major flaw, wee bumps to corners. Former owner's name on ffep and foxing to endpapers. Text is quite clean and secure.. HC and DJ. Good/Good. 8 x 5 1/2. London: Sphere Books Ltd., 1988. 190 pp. Another tale of the Tangye's life on Minack, the Cornish flower farm. STories of his New Year resolutions, and how the donkeys, the cats, the gull and a young badger, conspire to help him break them all. Softcover is clean and bright, no creases to corners, one crease to spine. Former owner's name on first page. Text is clean, tight and unmarked. A nice copy.. Reprint. Mass Market Paperback. Very Good. Illus. by Jean Nicol Tangye. 7 x 4 1/4. N.Y.: A. L. Burt Company, 1913. 305 pp. The story of Cricket a boy who wins the reader's heart through his cheerful and loyal personality. Lovely tinted illustration on frontispiece. Dj has a 1" chip from the bottom of the spine. A bit of wear to edges and a small chip from the top front corner. Looks good in new mylar cover. Illustrated olive green cloth on boards cover is bright and clean. No former owner's name. Text is clean, secure and unmarked. A bit of dust soiling to pages' edges. Dj cond: fair. Book condition: good++.. HC and DJ. 7 1/2 x 5 1/4. Toronto: World Books 280 pp. Rumer Godden lived for more than half of her life in India. Although not autobiographical this book is like her life there. Her heroine, Sophie, makes a herb farm, works in her garden and teaches her children. Dilkusha, the house in Kingfishers Catch Fire, is the real house Rumer Godden lived in, in the mountains above the lake. " 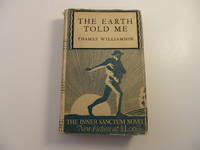 (this book) combines in a pleasantly assimilable form travel, psychology, folk lore, poetry.In short, it has everything. DJ has a few tears to edges but is complete with no chips A few faint stains to dj with some yellowing to the paper cover. New mylar cover. Royal blue bindng is in lovely condition. Former owners' names on front free endpaper One is datedf 1955. Gift inscription on title page. Text is clean, no noticed corner folds or tears, secure.. HC and DJ. Good/Good. 7 3/4 x 5 1/4.